Lemonade Day Greater Indianapolis is celebrating its sixth year of refreshing citrus-themed events and youth entrepreneurial initiatives on May 16th, with registration beginning the first week of March, and is bringing with it a slew of exciting additions. 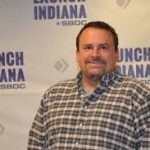 John Wechsler, founder of the co-working startup space Launch Fishers, will serve as the Community Champion, a first for the event. He was selected for the position by entrepreneur Scott Jones, who also introduced Lemonade Day to the city in 2010. 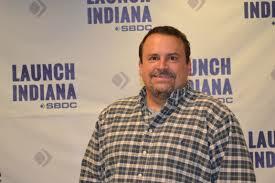 Wechsler’s seasoned guidance will be part of a greater push to encourage youth lemonade businesses in the city, as well as help increase registration numbers for Fishers kids to 1,500. With the introduction of the Community Champion, Lemonade Day will also bring two new promotional community events prior to the big day. Game Show Night, housed in the IndyFringe Indy Eleven Theatre, is April 9 between local entrepreneurs and media personalities. On May 1, Lemonpalooza, a celebration of youth entrepreneurship, will be held on Monument Circle with live entertainment and lemon-flavored goodies. It’s sure to be the biggest year yet, and the event looks to draw in upwards of fifteen thousand participants.